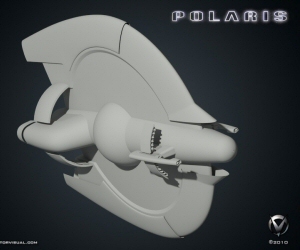 Jason “Vektor” Lee has proceeded to building the CG mesh for Polaris, based upon his earlier design sketches (which can be found in our Concepts and Design Art gallery and at his own site, www.vektorvisual.com). These are, of course, preliminary, with lots of parts and pieces yet to be added and lots of detailing to be done. Much of it is still subject to change but I felt it was time to move beyond the concept sketches, especially since Dennis and his team are starting to look at 3D assets for the effects work. More cool views of the mesh can be seen in our new Models and Animations gallery as well as at VektorVisual. Other news: We’ve been invited to make a presentation about Polaris at the upcoming Farpoint science fiction media convention, the weekend of February 12 to 14. More about that in a couple of days. I decided to try to have the best of both worlds by making the sails transformational. 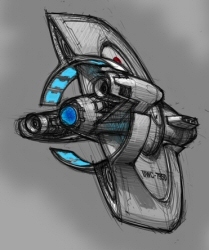 Ordinarily, they are folded back in a standby position like you see in the first sketch, but they can also rotate forward into a “deployed” position, probably when the ship is about to jump into hyperspace. There are two new renderings of this latest version in our Concept and Design Art Gallery, and you can see more of Jason’s work at Vektor Visual. This weekend, in addition to getting together with other folks to keep building Polaris on our stage, I’m going to be involved in the shoot for Starship Farragut’s latest short. Hopefully I’ll be a help in some way rather than a nuisance. The Farragut folks have been an enormous help and support to Polaris, and several of the group’s principal members are among our cast and crew. If you haven’t checked out http://www.starshipfarragut.com yet, go do that now. John Broughton (Farragut’s “Captain Jack Carter”) also has his own blog devoted to things Farragut and beyond, at My Captain’s Blog. As for us, we’ll have another casting announcement early next week, and maybe some more pictures of the sets. …additions include the ring at the aft end… and what I’m calling “mission module hard points” one on either side of the forward fuselage. I envision these as mounting locations for sensor arrays or other scientific equipment relevant to the ship’s original role as an exploration vessel. When the Polaris was refitted for service in the United Worlds Navy, these hard points served as mounting locations for the ship’s weaponry. Jason has much more to say at his blog Vektor Visual, a site you should bookmark (his work includes some of the best Trek CG modeling and design you’ll see). His skill as an artist and eye for detail are making this ship come alive in a way beyond my best hopes when we began, and I’m really pleased that he’s working with us. 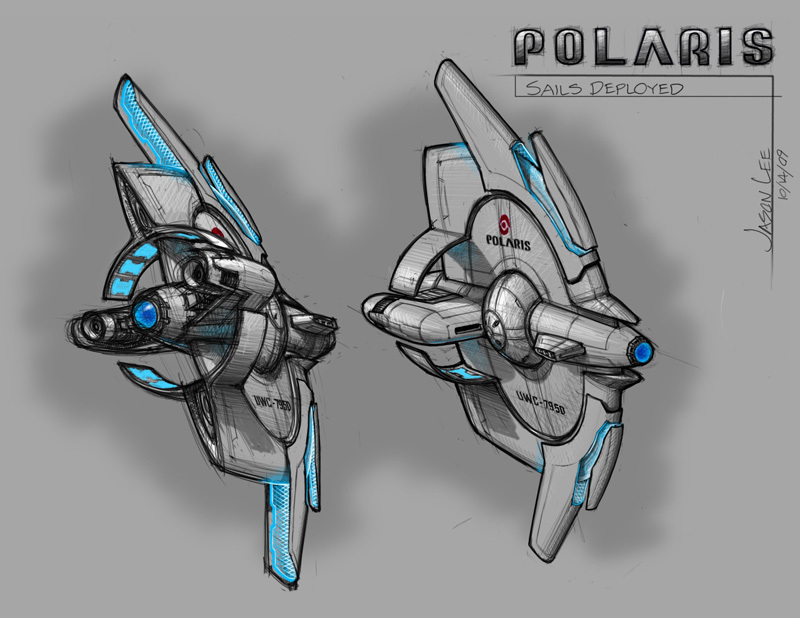 For a better look at Jason’s latest Polaris work just click on the image in this post - to see more of his art and of other design work on Polaris visit our Galleries. In other news, I should have a couple of major casting announcements this week. You all check back, y’hear? 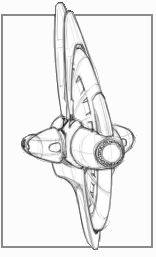 Jason Lee continues to explore and refine the design of our eponymous starship, the cruiser Polaris. He’s sent along some new conceptual drawings of the ship in a vertical configuration, moving away from the “flying saucer” orientation that we began with. 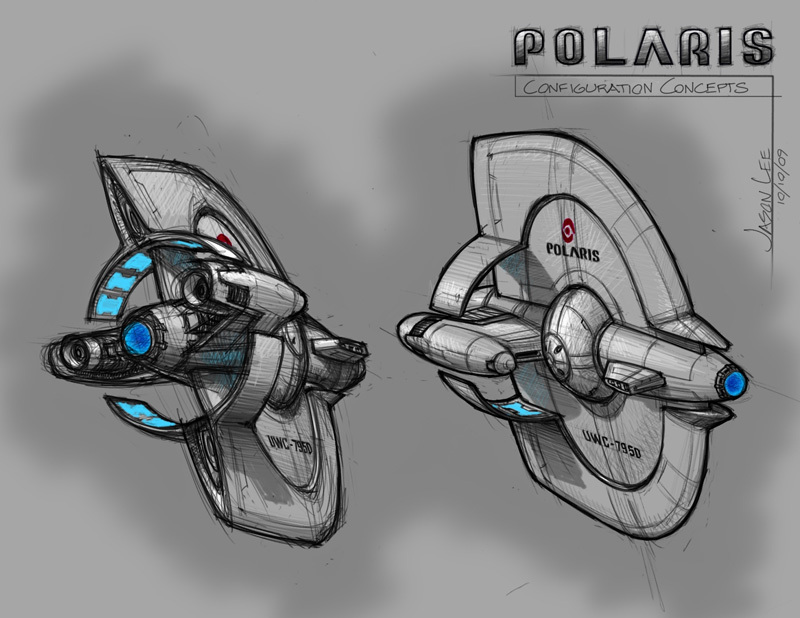 All of his work on Polaris thus far, as well as aridas sofia’s detailed engineering-style diagrams of the ship and its interior arrangements, are on display in our Concepts and Art Design gallery (just click on the “Gallery” tab up there on the left of the menu bar). Jason, AKA Vektor, has just relaunched his own website at http://vektorvisual.com, which I highly recommend that you check out. Vektor is known, among other things, for his highly detailed Trek-based starship designs such as the U.S.S. Grandeur and his more-faithful-than-JJ’s reimagining of the original starship Enterprise - as well as probably the best April Fool’s joke based on the upcoming Star Trek reboot film, which you can see over at Trekmovie.com here. 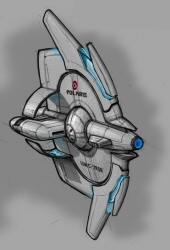 Our “hero” spaceship, Polaris, was designed by aridas sofia. Aridas is well-known in Star Trek tech fandom as the artist, author and publisher behind General Plans for the USS Avenger class, the USS Enterprise Heavy Cruiser Evolution Blueprints and the Federation Reference Series as well as other noteworthy designs and publications. Check out his Federation Reference website. 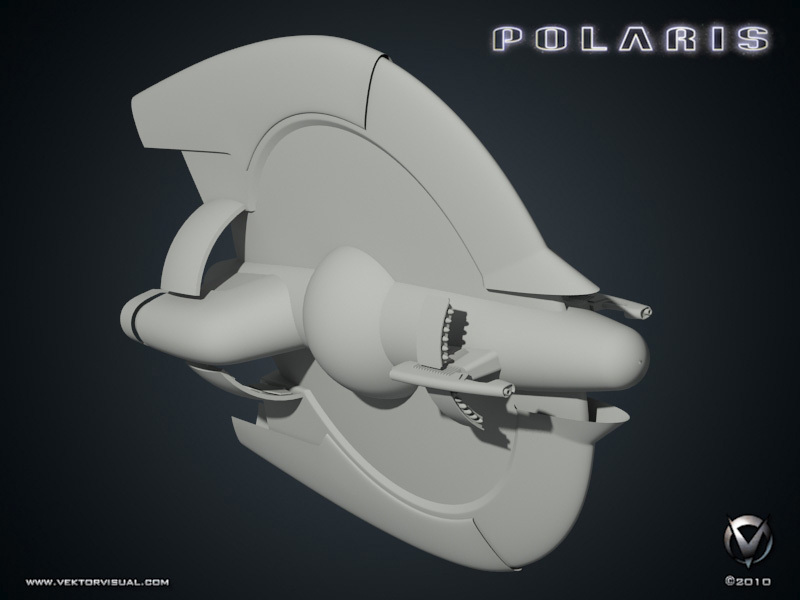 Aridas and Jason Lee are continuing to revise Polaris in line with emerging story requirements, so the images you currently see in our site header and elsewhere on this site are intermediate representations of what we know will be a remarkable final design. Polaris is a Zodiac-Class Explorer, constructed at the New Calder shipyards on Inverness.